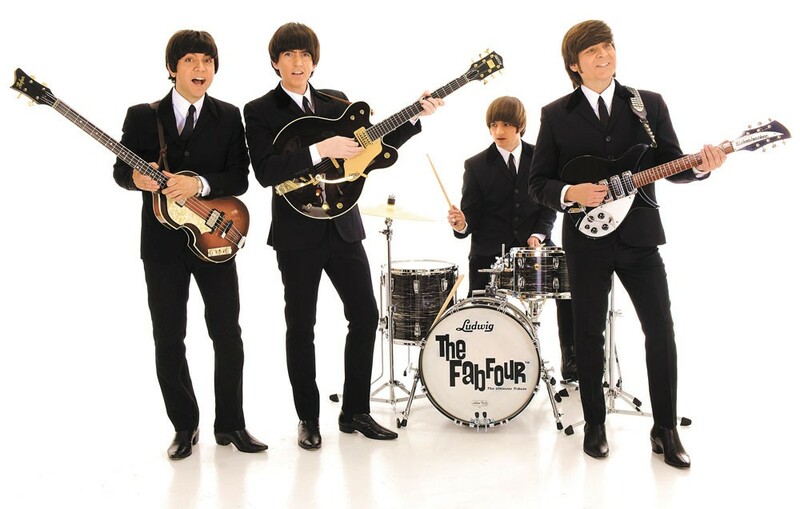 The Fab Four play with the Spokane Symphony April 29. Millions of people watched the Beatles perform during their short, turbulent lifespan as the world's most famous band, but how many fans saw John, Paul, George and Ringo with a full orchestral backing? Granted, nothing will ever compare to actually seeing the Beatles at the height of their fame, but this weekend's Symphony SuperPops concert offers up something nearly as good — and a bit unexpected. We know what you're thinking: Aren't Beatles tribute acts a dime a dozen? Well, yes, but the Fab Four are generally considered one of the very best in the biz. The California-based group (which has changed lineups quite a few times over the years) has been donning those iconic mop-top wigs since the late '90s, and their show covers the full stylistic spectrum of the most famous musical Liverpudlians — from the early days of Beatlemania to the sonic experimentation of the Sgt. Pepper era to their fractious final year. And when the Fab Four hits the Fox Theater stage on Saturday night, the Spokane Symphony will be there to provide accompaniment on some of the Beatles' most famous musical moments: the brass accents in "Penny Lane," the lush string arrangements of "Eleanor Rigby," the crescendoing symphonic cacophony that punctuates their masterpiece "A Day in the Life." A splendid time is guaranteed for all.